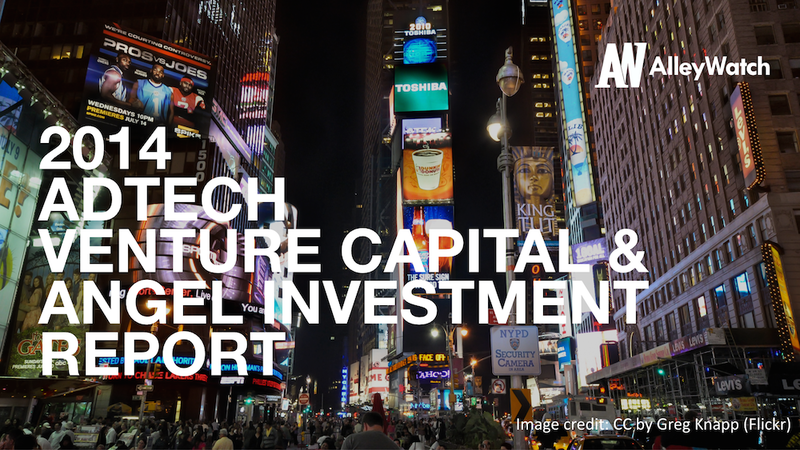 This week, we take a look at the state of adverting technology venture capital and early stage funding in NYC, from 2011 to 2014. Analyzing some publicly available data from our friends at CrunchBase, we break down national and NYC aggregate statistics for deals in the red hot adtech space by stage of funding (Angel/Seed, Series A, Series B, and Series C+). When examining the funding landscape from 2011 to present, the bulk of the increases in investment has come in late stage rounds (C+), while the number of rounds has remained steady. In fact, aggregate funding is down or even from 2011 levels across other rounds, both for New York and nationally. Nearly, $1.4B was invested in AdTech startups in NYC over the last 3 years and ~30% of that was during the first half of this year. NYC AdTech is thriving, but let’s find out why. It appears as though there are a number of NYC startups raising, and investors are funding large rounds with the hopes and expectations that liquidity is looming. Possible reasoning for this rush is regulatory concerns: imminent legislation may be introduced that will severely impair or threaten existing business models. The cost of technology is also falling fast and capital is being deployed quite efficiently, leading to an extremely competitive environment – one where increases in demand may not be outpacing the decreases in rates. A few dominant players may be looking to cement their positions in the final stages of the land grab, armed with new financing. Consolidation within the space is likely over the longer term. It seems as though the simplest of adtech startups is now capable of offering advanced technologies that were reserved only for heavily capitalized companies just a few years ago. On a granular level, many of these offerings serve an undifferentiated product, not worth the switching costs, that offer substandard rates. At the top, sophisticated trading desks, programmed by the brightest on Wall Street, have moved the adtech space into the forefront of the NYC tech scene, meeting the needs of advertisers, agencies, SSPs, DSPs, networks, and the consumer. It’s just a matter of time before things get more direct. Whether systematic, programmatic, or algorithmic, the industry is getting more efficient as transparency is becoming of paramount importance, both from a demand and a regulatory standpoint.